FPU: 68882 (PGA) at the same speed as the processor. An accelerator for the A2000 which plugs into the CPU Fast Slot. It actually consists of two boards which are connected together, one containing the accelerator components such as the processor, fpu and the hard disk (3.5" IDE), and the other contains the RAM. 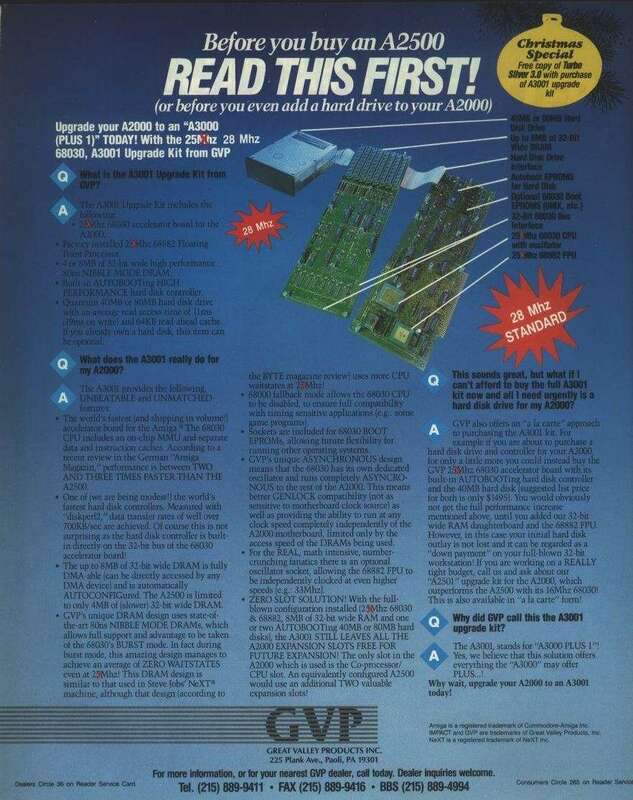 Two types of RAM cards were made, one called the RAM8 which contains 8 x 30pin SIMM slots (8 bit RAM), the other called the RAM32 which contains 8 x GVP 64pin SIMM slots (32 bit RAM). This card uses GVP 64pin SIMMs which are not necessarily compatible with the various other 64pin SIMM formats which exist. 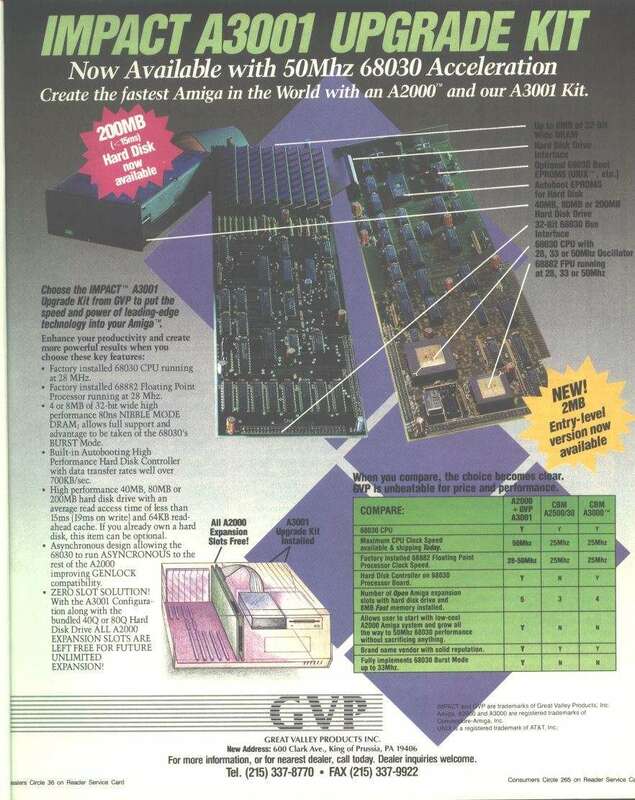 This was the first 030 card that GVP released for the A2000. The card can also take the special UNIX Boot ROMs as found on the Commodore A2620 or A2630 to support the alternative Commodore operating system Amix.